Here in Japan is very common to have people traveling north to Hokkaido for the summer holidays, and one of the popular things to do there is visit the lavender farms in the area. I was lucky and had a chance to visit on my first year in Japan. Growing lavender is a big deal in Hokkaido. From what saw they treat the season in a similar way to how they treat sakura season. They have festivals, special lavender food, lavender designs and many products related. It is very fun place to be. Before my visit, I had never seen any lavender farms, so it was a great surprise to see all the never ending fields of purple and walk among the trails. It was an amazing experience. So, after my visit to the lavender farms that year, of course I had to have some lavender growing in the garden. I got a plant last autumn and took care of it hoping for some summer blooms. It grew a bit during the winter and even more in spring. Finally it started blooming in May, a bit earlier that I expected, but no complains, It was probably just another effect of the vacation drought of spring. Now after blooming nicely all June, it seems to be starting to stop, so I decided to cut away the flowers that are left and let it grow for the next year. 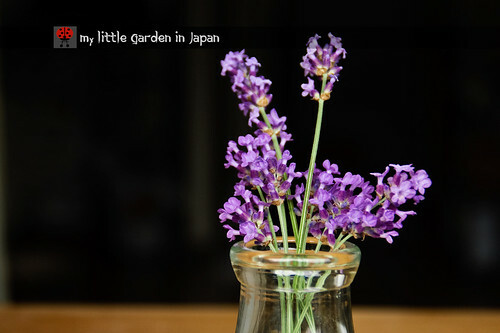 It was very fun to grow lavender, I had never had a chance to do it before. Even though is a very small plant the scent it produced was very strong, specially in the mornings when I the light wind made it come into the room from the balcony. Hopefully it will give a great display again next season, but for now I say good bye, is time to rest. Lavender is lovely. I have some in a pot at my back door. The fragrance is a lovely welcome home. I have four lavender plants in pots on my patio. They are different varieties with flowers of different colours, and they bloom at slightly different times. You are doing the right thing with pruning yours as soon as the flowers have faded. This will allow it to gain vigour for next year. In England the county of Norfolk is particularly associated with growing lavender. You can see huge fields of it. I love the fragrance of lavenders! I can be relaxed and refreshed with the incense made from lavenders. Purple are my favourite colour. We are lucky that our neighbour grow them along our shared driveway. Lavender is a great plant Fer. Here in Scotland it flowers between July and September. I always cut it back as you have done, plants usually last three seasons. i always cut only the old and bloomed-out flowers, and leave the rest. Its a lot of work cause have many lavender plants, but its rewarded cause your lavender might keep flowering until frost sets in. In the winter of 2009 it was even flowering at the start of december, due to an exeptionally warm autumn with no frost at all..
Because the weather suddendly changed, it became a very cold and snowy winter, and in december when the first snow fell, i had snow capped lavender buds :) A weird sight. Ofcourse the plant stopped flowering immediately. I love lavender, i have made a low "hedge" on both sides of the path in the frontyard. When i walk on the path it smells very nice. 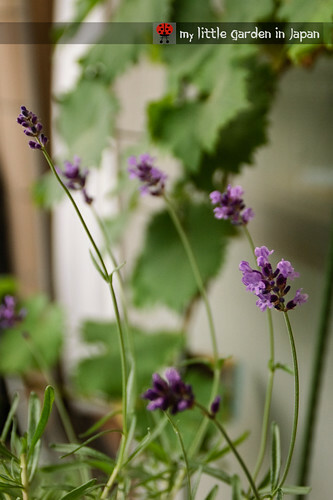 Did you know its dead-easy to take cuttings to breed new lavender plants? You just cut a green not flowering branch and stick it in moist potting soil. No powder for cuttings needed. You then place a transparent plastic bag over the cuttings and make sure it stays there with a rubberband. If its still green after 2 months, you succeeded and you can remove the plastic. If you took cuttings in autumn, you should place the cuttings/young plants inside. I recommend to try it with more cuttings, cause there are always some branches who die. This way youll have more plants for free. 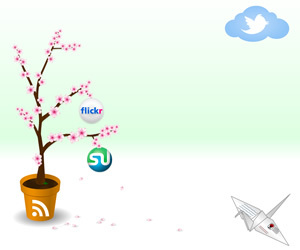 I didn't realize lavender was so popular (like sakura) in Japan! Your lavender is very lovely. I planted a small Spanish lavender plant in my yard a few years back and it's grown so big. The bees love the flowers so I don't dare take any for myself. I want to keep them happy! I love the heady scent of lavender, and I particularly enjoy that even when the flowers have been cut away, the leaves still give off the same scent when it gets hot or when you run your fingers through the foliage. Det er en smuk Lavendel du har.